As you’ve probably discovered by now, this journey comes with many perils. Writing is hard. That’s a plain and simple fact. There’s so much to track and monitor, so many thoughts that buzz around your brain; so many ways in which it can all go terribly wrong. How on earth could it ever be easy? That’s the thing, it never ever will be. 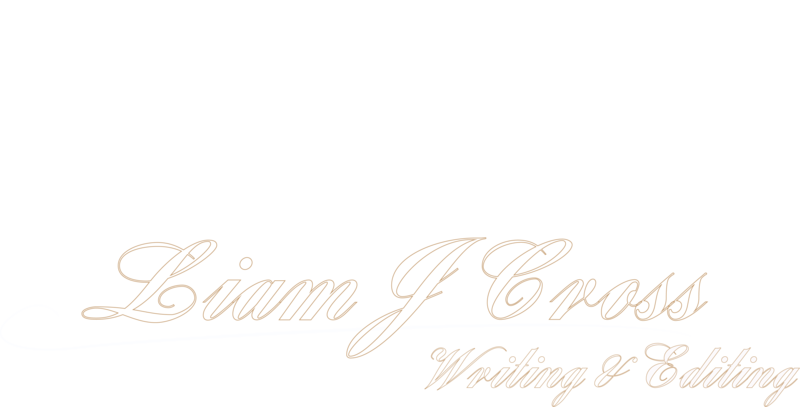 But we’re here to make it easier – that’s what Liam J Cross Writing & Editing is all about. So What Exactly Is An Adverb? It’s just the first law of article writing. If you’re going to write a piece about something, your reader has to know the exact details of its intricacies. And if you aren’t quite sure what an adverb is – don’t look at us like that, you’d be surprised – then before we start, we need to make sure that changes. Luckily, they’re easy to describe. He crossed the room slowly, his head drooping further with every step. So in this example, ‘crossed’ is the verb. Which means that because it is describing the verb, ‘slowly’ is the adverb. Understand? Great. Now let’s look into it further. Well, it isn’t exactly bad… but it could be better. And in writing, you always aim for better. In this particular instance, the adverb’s usage belittles the sentence in a couple of ways. First of all, it hurts the flow of the line from a reader’s point of view. It lacks that crisp edge that well-refined sentences boast with pride, and because of this, seems a little forced. And secondly: it belittles the sentence because it, well, just doesn’t need to be there. The main reason adverbs are seen as bad is all to do with what they can (in most cases) be replaced with. what you’ll find is that a lot of the time, adverbs can be replaced with more appropriate verbs. Instead of using two words – one to set the action and one to describe it – why not just do the exact same thing with one? He trudged across the room, his head drooping further with every step. In the new example, the word ‘trudged’ acts as the verb and the adverb – it says the exact same thing as before, only with fewer words, and in a way that creates a clearer picture in the reader’s mind. That’s what’s important here, that’s what you should take note of. In fiction, if there’s ever an instance in which you can say the same thing with fewer words, you must absolutely, indefinitely, without-a-shadow-of-a-doubt do it. The most common (and appropriate) place adverbs will be accepted by a frothy-mouthed, fire-breathing editor, is within and around speech. Character actions of this nature are sometimes a great place to make use of adverbs, mainly because they come before or after speech. When the reader is right in the middle of an important dialogue scene, it’s important that they stay engaged. Based on this, if you want one of your characters to nod their head slowly before they talk, then it’s typically better to write it that way. Stretching it out and describing the head-nod in what may seem like a quirky, individual way could be cool, but it will more than likely distract from the speech and leave the reader feeling frustrated. So remember: character speech and actions, that’s when you are most likely to pull off an adverb that works. In the majority of other cases, you can use a more suitable verb to do their job, and can even explore your individual voice with metaphors and imagery. We know how it goes. A lot of the time, while rereading your work, you find yourself wincing in genuine agony. Something – something you can’t put your finger on – just doesn’t sound… right. Well guess what? Overusing adverbs could be the problem. Next time you set off on your quest to rewrite, keep what you have learned in this article in the forefront of your mind. Scan your work for adverbs, and see if the passage can be improved and neatened by implementing the strategy you have seen in this analysis. Hey, there’s no need to thank us. Tidy manuscripts are what we live for.